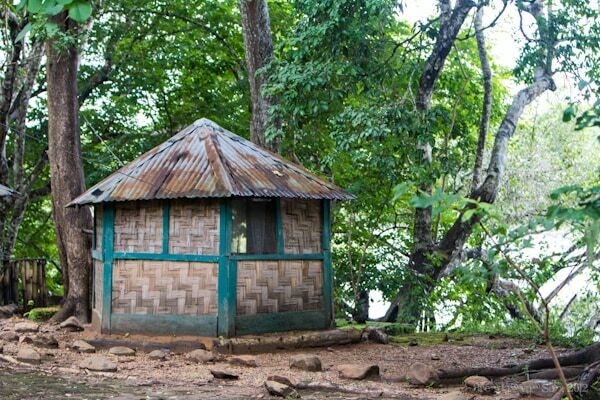 The rain poured heavily down on the thatched roof of my guesthouse shelter and I couldn’t help but be worried about my motorcycle ride down the street to the bush taxi station. I didn’t want to get wet, nor did I want to expose all my camera and computer gear to the elements, but I did really want to get across the border to Sierra Leone. Little did I know I wouldn’t just be out in the rain on the back of a moto-taxi for a short ride, but I’d be riding the bike all the way to Sierra Leone, and well into it. As I arrived at the taxi park, covered in water, I was quickly whisked away to shelter by a group of people eager to help. 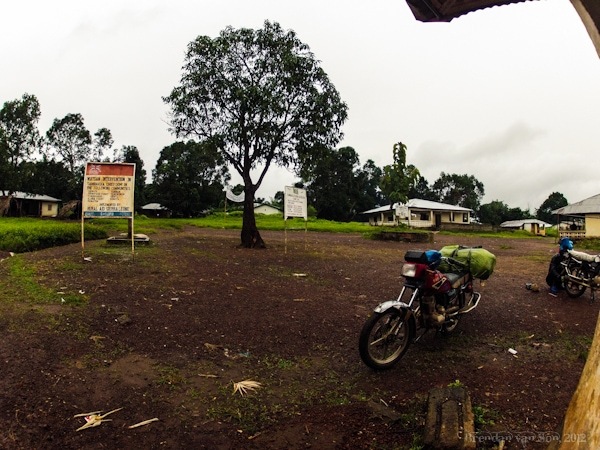 But soon after arriving we found that there were no taxis to Kamakwie, Sierra Leone on that day, and chances are that there wasn’t going to be one for the next couple days as the heavy rains had rendered the road impassable. Realizing that it was likely the only option I agreed and strapped my big backpack to the back of a hearty Horizon motorbike. I somehow managed to squeeze my way into the tiny space between the driver and my bag and off we went. The trip to the border town of Medina-Oula was incredible. The majority of the ride was on paved roads lined with stunning green scenery. Though the last couple kilometres were a little rough, and the lower half of my body soaked to the core, I arrived at the border in good spirits. In Medina-Oula the confused looks among villagers made it quite clear to me that white men don’t pass through all too often, and when they do they don’t arrive on the backs of a moto. 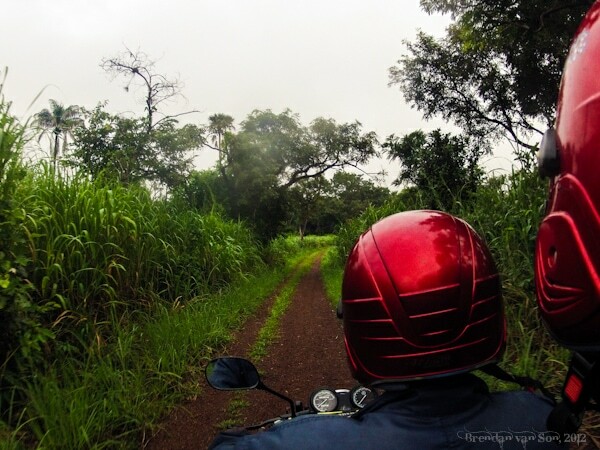 After a couple minutes hiding out from the rains and asking about a car to Kamakwie, it became clear to me that my only option again was going to be to take a moto. The road ahead, I was told was a mess and was, in its current wet season form, almost less of a road than it was a trail through the bush. So without hesitation this time I packed my gear onto the backs of a new moto and set off on some of the roughest stretches of road I have ever seen. Through spurts of rain that seem to turn off and on like someone was playing with the shower switches, we pushed our way along strips of red road, through swamps of what almost seemed like mangroves, and across rivers. In fact, at a couple points along the way we needed to get off the bike and half-carry it across water up past our waists. But, through the challenges, I could hardly wipe the smile from my face; and it seemed like the driver was having as much fun as I was. Each time the bike fish-tailed, hit a hole in a massive puddle, and even the two times we dropped the bike on ourselves he came up laughing, and so did I. The truth is that, for me, travel of any kind means an adventure of some sort or else you’re probably not doing it right. 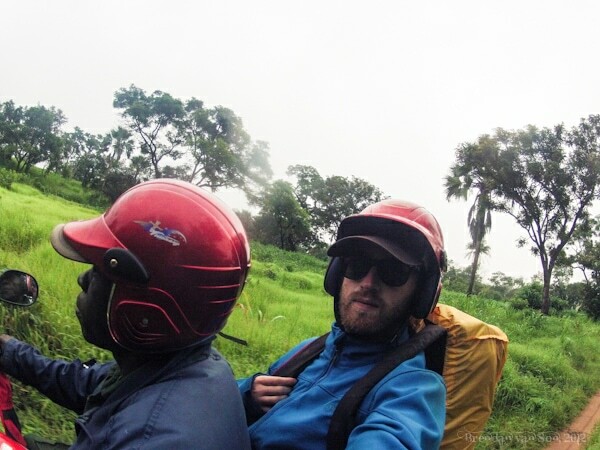 You don’t need to jump on the back of a moto through the brush to a country like Sierra Leone to have a great adventure. For me, an adventure is anything that pushes you out of your comfort zone; any type of travel that doesn’t do that in some way is simply a vacation. 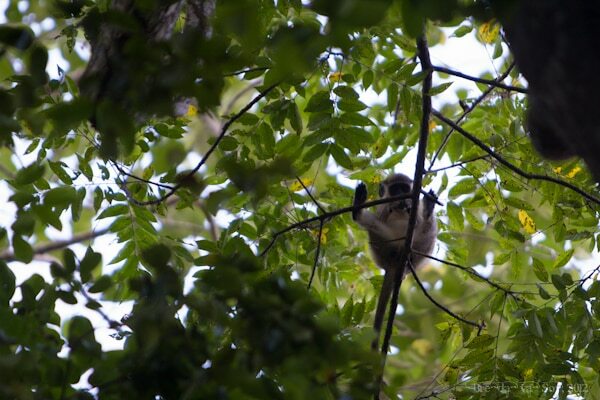 Any trip that ends with monkeys in trees is fine by me. Adventure doesn’t always leave you high on life. Sometimes it leaves you battered, bruised and questioning what you are doing with your life as it did to me in Guinea-Bissau. But more often than not, I have found that, if you let the winds of adventure take hold you’ll find yourself a strong person in the end as a result. As I arrived in Outamba-Kilimi National Park after 7 hours of pure adventure I felt just that. I feel proud, I feel like I overcame a challenge I was first a little afraid to take on, and at the end of any day of travel if you can feel that way it has been a good day. You are brave! But that does look like a lot of fun. Looks like one serious adventure, Brendan. Whether well-organised or chaotic, I’ve found border crossings to provide some of the best traveling memories. There is something magical about seeing your passport stamped then setting foot into an unexplored country. What an over the top adventure! I’m not sure you’d find many travelers following yur footsteps. Leigh, and the challenge is there haven’t been many ahead of me. I have no idea what I’m doing out here because there is so little information about it haha. Wow, what an epic adventure. You must feel like an explorer when you get to do things that are really off the beaten toruist paths. Did you ever feel threatened during your travels? Tammy – threatened? I’ve been shot at, kidnapped, robbed haha. The truth is though I’m a pretty naive guy so it never really gets to me. In Africa so far, I’ve always felt safe… west Africa has really been good!